Square Plastic Tube Inserts and Caps from 50.8mm (2" square insert) up to 150mm x 150mm square end caps . BEST PRICE 1000 INSERTS PACK from 0.16p each. We have 1000's in stock ready for dispatch and a free sample is available by request. In order to choose the right square tube insert for you, please check our measuring advice. Choose tube caps from 50mm square to 150mm square tube inserts. 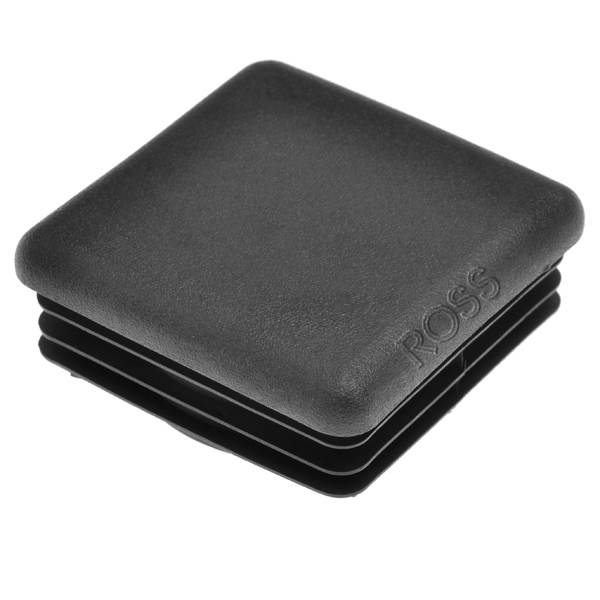 these large tube inserts are ideal for finishing off furniture, equipment and display stands.